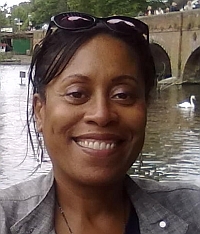 Eve Winston, author of A Useful Guide to Career Development and A Useful Guide to Diversity, has been an independent training consultant since 1996. She began her career in education and training directly after completing her first degree, BA (Hons) English and History at Leeds University, by teaching English (TEFL) for the British Council in Finland. After returning to England, she trained and worked in careers and adult guidance for a number of years, and then moved into research, policy and management jobs in education. Her involvement in equality and diversity developed through these roles and she has extensive experience of working in this field. Over the past 14 years as an independent training consultant, Eve has worked with a wide variety of organisations in both the public and private sectors, ranging from blue chip companies and government departments, to housing associations and voluntary sector organisations. In addition to her BA, she also has an MSc in Urban Policy Studies, a Diploma in Careers Guidance, a Diploma in Training Management and a Certificate in Workplace Mediation. Various soft skills for staff and managers. When she is not writing or delivering training Eve enjoys exercising, being in the great outdoors and enjoying life with family and friends.